Think Links of London is all about sweetie bracelets and dangly charms? Think again – the design team has clearly been busy, with the brand’s recent offerings including more subtle and sophisticated pieces, including miniature friendship bracelets and charms, as well as some amazing statement watches and plenty of rose gold. 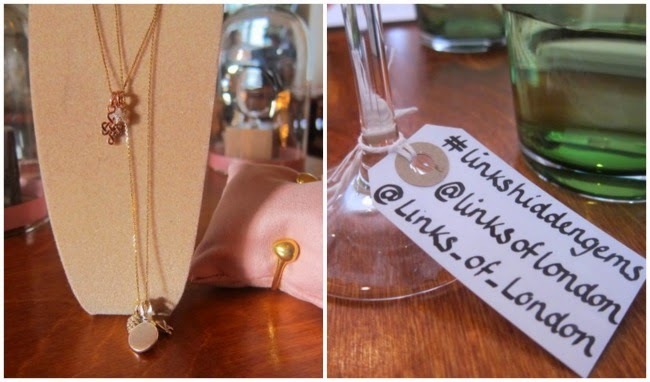 I discovered the new pieces as part of a dinner for the #LinksHiddenGems campaign - in which the jewellery house has teamed up with Stylist Magazine, to compile an insider's guide to the UK and Ireland’s stylish, but lesser known, places. Fancy taking part? Just take a picture at your favourite ‘hidden gem’ and post to InStagram or Twitter, with the hashtag #LinksHiddenGems and tagging @linksoflondon (Instagram) or @Links_of_London (Twitter). The prize includes £1,000 of Links of London jewellery and a trip for two to a Hidden Gem location of your choice. Links of London has several Irish stockists including Brown Thomas and House of Fraser (Dundrum) – check their store locator or browse the collections online.